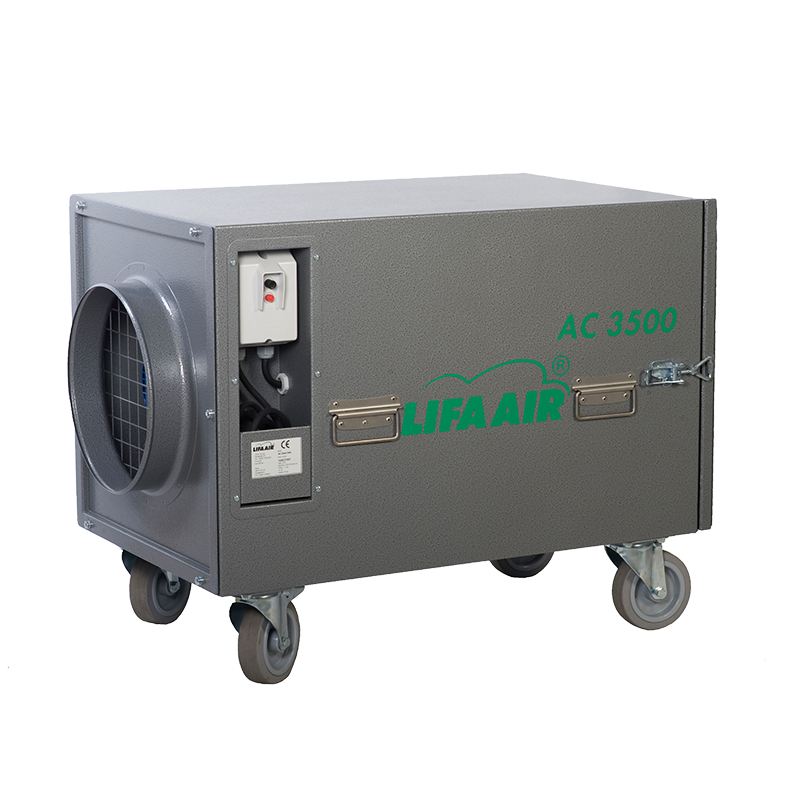 Lifa AirClean 3500 is designed for filtering and cleaning of airborne dust particles and other pollutants. Due to its excellent suction power, collection capacity, and robust seamless metal construction, the AirClean 3500 can be used for a variety of jobs from HVAC ventilation duct cleaning, to building renovation, demolition and contaminant control work. The AirClean 3500 can also be used as an air mover for water damage. The AirClean 3500 can be used for mold and microbial removal restoration work, or as an air scrubber, since this negative air pressure vacuum unit comes with a gas filter. Lifa AC 3500 is designed and manufactured according to international quality- and environmental management system ISO 9001:2008 and ISO 14001:2004.